If you follow me on social media, then you already know that I have a new story releasing this week. If you’re not following me on social media, then you need to click [here] and follow my antics on your choice of social media platforms. This story was created with the inspiration of starting my own Patreon page. The funds my Patrons give me will keep me inspired to write this series. My Patrons also get updates that aren’t anywhere else, as well as access to public updates before anyone else. There are also different rewards depending on a Patron’s pledge amount. If you might want to become my Patron for this series, click [here]. Anyway, you’re here to hear about the actual content of the saga, aren’t you? My elevator pitch: Agents of SHIELD mixed with Divergent, if the teens had superpowers. The Chaos Accounts is a saga that follows Division 3 of the MRC, an organization dedicated to keeping peace between humans and Metas, humans with incredible gifts. They also try and counter any destruction or injury caused by ChaosBlaze, and I’m sure you can infer their intentions based on their name. The first story, “Account of Anxiety”, follows Blaine, a teen musician and impressionist, as he gets thrown headlong into the world of the Metas when his family is kidnapped by ChaosBlaze. This is essentially a brief introduction to the series and main characters, as seen by a confused, anxiety-ridden outsider. I’ve got many others planned, and as long as I have people who want to read this journey of painful pasts, confusing and conflicted present, and uncertain futures, I will continue to write it. Now, here’s a “catch”. At least for me. -For every PAID download (aka-Amazon Kindle), I will donate $0.50 to Freedom From Fear. -AND for EVERY REVIEW on B&N, Amazon, or Smashwords, I will donate $0.50 to Freedom From Fear. So, essentially, this is money from my pocket that will be going to a good cause, and one that relates to Blaine’s anxiety issues, as well as making the world even slightly less scary for those of us with mental/emotional conditions. So, spread the word, because I will only be tallying downloads and reviews until February 14th! Can’t wait for you all to jump on this crazy train with Division 3 and me! Who Wants To Be My Patron? I’VE BEEN A BAD CHRISTINE. You’ll have to forgive my overlooking of a COMMITMENT! Things have been crazy. -Ravencon: Was the most amazing experience in my life. Hoping to be invited back. Got my book (THE PROTEKTOR’S REALITY, in case you’re knew to my side of the Internet) into the hands of about 15 people. Met some reeeeeeally cool people, and got to talk writing and publishing stuff. Whether I come back as a guest or a participant, I will be going next year, and will have copies of my book to sign. Visit ravencon.com for details. Mono: Yeah, you read that intro right. I got sick with Mono in the middle of June. No, I have not been cheating on Boyfriend. I’m certain I probably just got it from sharing a drink with a friend, or maybe a water fountain in Vegas. *shrug* who knows. Six weeks without exercise had me gain back a bit of those 40 pounds I lost, but I’ve lost it since beginning of August. Day job: Day job is chaotic. No details, because, obviously, this is the internet, but things be going CRAY at work, and I’m overwhelmed beyond all reason. I’m getting through it okay, and actually being more productive there, but, when I come home, I crash because there wasn’t anything to do. Writing has always been my best antidepressant for me. I just haven’t had any motivation to write anymore. In order to get motivated again, I’m taking this BIG, RISKY step, and I hope some of you reading this will assist in this venture. It’ll keep me writing, and keep Depression from eating me alive like it has been lately. I’ve joined Patreon, a community of content creators who rely on Patrons (you guys who join) to pledge a certain amount in support, and, in return, Patrons get cool stuff, like exclusive content, Google Hangouts, Live chats, and even some physical goodies. It varies depending on the Creator. There were two options for frequency of pledge. Patreon advised that if you are putting out 4+ pieces a month, go for a monthly rate. For the time being, I’m only planning on 1-2 per month, so I have it set per creation. My creation is serialized fantasy stories. These are stories I barely started that I need motivation to write up. These stories are also perfect fodder for serialized fiction, because the ones I’m choosing… Never decided on an ending. So, these are indefinite stories (or “Human” stories, as I refer to them on my Patreon page), and I’m hoping I can get a good deal written on them. But I need motivation. Yes, you, reading this right now. I’d really appreciate the support from ANYONE. When you go to my Patreon page, at the very bottom of my description, I have a link to the first chapter of my first serial, titled “Truths of the Triangle”. It’s essentially a twist to the mystery of the Bermuda Triangle, involving magic, multiple worlds, and a race to save what’s left of the protagonist’s sanity. Right now, that first chapter is on my Google Drive account, but looking for ways to get it available for download. Just so you know though, downloadable versions will only be available on my Patron-only stream. All you need to do is pledge $1/chapter to get that access. But… I think I’ll at least give ya’ll a lil’ snippet from that first chapter. Kelli cocked her head. “I’m not sure I do. Everybody has bad things in their lives that bug them: drugs, alcohol, abuse, death. They just pretend everything’s fine to not bum out everyone else around them. In fact, the only thing bad that isn’t currently happening is World War Three.” She’d said it in jest, but the expression on his face said he hadn’t taken it as such. Kelli wanted to open her mouth to refute his annoying, avoiding response when he planted a long, forceful kiss right on her lips. It surprised her for a second or two, but she eventually fell victim to it, wrapping her arms around his neck and returning the gift. It just felt so right. A loud boom from the front yard that shook the building broke them apart. They both looked at each other with wide-eyed, “What-The-Heck” glances. Then they heard the screaming, followed by huge plumes of smoke. Here’s the [LINK]. Adding it to my Contact Me tab here as well, if you want to find me everywhere else as well. So, for once, two blog postings in a week. This should make up for forgetting February, right? Anyway, this post is one that is rough for me to admit, but I feel that people could relate to it, so why the heck not, huh? I mean, if that retreat taught me anything, it’s that finding other writers who have faced similar situations is an eye-opener, and they can give advice for the troubles you might be having, because they might have gone through them themselves. This week, my struggle is my inspiration. It’s gone on vacation. For who knows how long. I spent a straight 7 days writing about 8 hours a day, with breaks for lunch and just because I need to step away. So, about 6 hours a day, I was either brainstorming or writing. And now I have 28,000 words for my third book in my most recent series. I had lost all inspiration to work on finishing it. Maybe it was the draining from writing that much in that short amount of time. Maybe I missed my new friends and the snippets we would share before dinner. Maybe I’d laughed too much over the course of that retreat, and it gave me brain damage. In any case, I have not been able to get a coherent chapter out of my head for days. And it’s frustrating! Because, only about a month or two ago did I know how my series would end. And the ending is AMAZING! (Well, in my mind anyway. The rest of you will be sobbing and sending threatening letters for me to write another book to make things better). The point is, losing your inspiration can be a scary, frustrating thing. 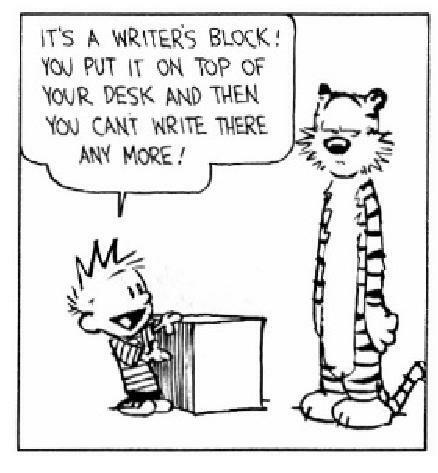 I’ve had plenty of times when I had writer’s block, but what I’ve come to realize is that Writer’s Block and Loss of Inspiration are two separate conditions. – Talking/Rambling a lot, much to the annoyance of your family and friends. Being a writer is all about being an imaginative dreamer, right? Our stories are a part of us, every character has a piece of us in their looks, personality, attitude, quirks, or flaws. Each setting, plot bunny, character, world system – each and every word we have written since we wanted to be a writer – came from us. When you have WB, it restricts that dreaming ability, because we can’t seem to figure out what to write next. However, the opposite is just a frustrating to those with L.O.I. They dream more than usual. You’d think this was a good thing, but think about it for a second. Being able to dream up every chapter, every plot point, every character development moment, but not being able to utilize it in story format? For me, that’s torture. It’s the most frustrating condition ever to have, and believe me, I know, because I’m going through it right now. The downside? Every writer can get both of these issues at any time in their writing career. It will happen without notice, warning, or time to prepare, and when you least expect it. There’s a good thing to remember though. There’s always a light at the end of a tunnel. You will get through it, and one day soon, you’ll be scribbling/typing at the speed of light. Just remind yourself of what you want, and remember that it will be worth it. Yeah, having your own book in your hands, whether digital or print? Yes, it’s ALWAYS worth the trouble. I’ve been quiet for a while, trying to figure out what I could blog about. Now, I have the absolute BEST thing to write about. 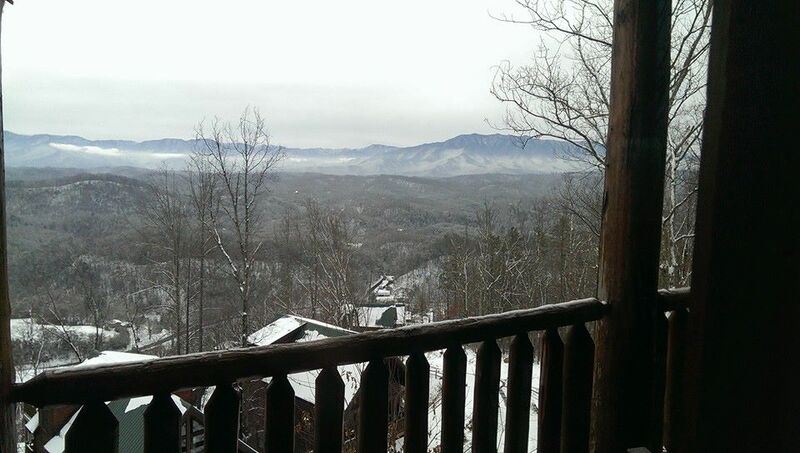 For the past week, I have been away on a Writers retreat (Smoky Mountain Writers- SMW) with about <20 AMAZING people. When I arrived, I only knew one person, one of my mentors who pulled me into this. I was petrified, not knowing who these people are, just knowing they were writers and friends with my mentors. Said mentors assured me that these were good people, and I trust them, which is why I agreed to go. I thought, hey, it’s a good experience, and great networking. However, with my shyness and reluctance to interact with other people, I was still a bit anxious about how I would fair during an 8-day retreat in the middle of nowheresville Tennessee (The mountains in Gatlinburg, for anyone’s information) with a bunch of people I didn’t know. At worst, I’d get some writing done, get some sleep and food, and not embarrass the heck out of myself. Man, I was SOOOOOO GLAD that it was much more than that. My drive was difficult to say the least. I drove through a blizzard on I-81 for over 8 hours, finally stopping 15 miles from the VA/TN border on Saturday night. I continued the drive Sunday morning, and when I got there, I learned it had been totally worth it (no matter how much my mom said she was going to kick my @$$ when I got home). Sure, a majority of our time was silent writing time (which, over 6.5 days, I’d written over 28k). At first it was hard to interact with these people, because all of them had some sort of connections with other cabinmates. Most had been to Balticon, and were planning on returning this May. Some were co-authoring works together, and others had been friends for years. It was intimidating, being the odd one out. Then came the surprising part: they attempted to include me. Like, talking to me, actually WANTING to get to know ME, of all people. They understood the challenges I’d had in life, because all of them had been through it too. They were welcoming, kind, CRAZY people, so much like me that it stunned me for a bit. They got me to do things I never would have done elsewhere. I read some of my raw work EVERY NIGHT. I watched a New Zealand vampire ‘documentary’ (coming soon to places other than NZ- What We Do In The Shadows). I even hot-tubbed OUTSIDE in 30° temperatures! Before I arrived, I believed this would be an amazing opportunity to network and make connections. I hadn’t really expected to make 17 new friends. By the time I had to say my tearful goodbye (Bad weather on last day, so left early), I trusted them so much, and I hope they will be friends with me for a long, long time. They were amazing, creative, spontaneous, CRAZY people, and I miss them so much already. So, if you can’t tell by the title, I’m EXTREMELY hyper!! My paperback book was officially released on November 25th, with the eBook versions out five days later. This dream was ten years in the making, and when that book was in my hands, I started tearing up. I may not be as far as my final goal, but this is the first step toward it. This book was one of my favorites writing. It is a prequel to a trilogy I had completed before starting to write this one. My goal is to get that trilogy traditionally published, hopefully sometime in the near future. This whole saga – which includes 4 short stories, 1 novella, the prequel, and the trilogy – is a project I started about four years ago. In fact, two of the four total books in this saga were NaNoWriMo wins, one in the traditional November NaNo, and the other during Camp NaNoWriMo. Those of you that have a dream, don’t stop reaching for it! Though you may lose faith along the way, if you continue to pursue your dreams, I can guarantee you will not be disappointed! 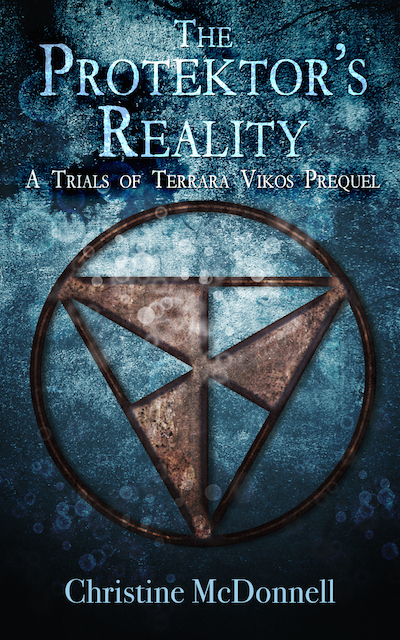 Check out the tab for my works to find the synopsis and links for The Protektor’s Reality. I’d really appreciate any support I can get, including buying or reviewing! It is available as a print book on Amazon, Kindle eBook, and also on Smashwords in all eBook formats, online reading, and also PDF file. And don’t think this means I’m done. My journey is just beginning.